Not known for liking kids much, if W.C. Fields had visited the Columbia River Gorge he most likely would have headed for the nearest brew pub. 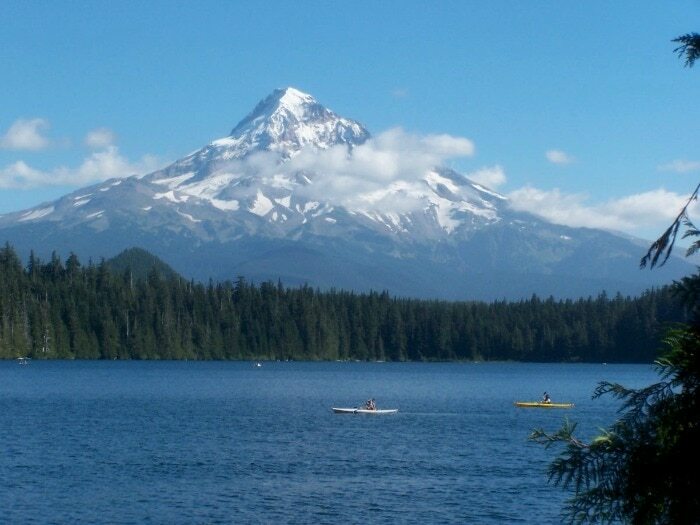 But here in Hood River, we love kids and that’s why families like spending time in Hood River. Here are some “must do” Gorge activities when visiting with your kids, grandparents, nephews, nieces, aunts, uncles, mom and dad, or any other family members. Start with some time at beautiful Waterfront Park, where a playground full of fun activities awaits, and where you can swim in a safe area and watch the kiteboarders and windsurfers race across the water. Or visit the Big Winds tent right next door at the Event Site and let them give you a lessons in stand-up paddleboarding. Next stop Andrew’s Pizza, where kids have their own play area and the whole place is kid friendly. Then grab your bikes (or take a walk) up to Discover Bicycles where you can rent bicycles for everyone), and head to the Twin Tunnels Trail — 5 miles of paved pathway with no cars. 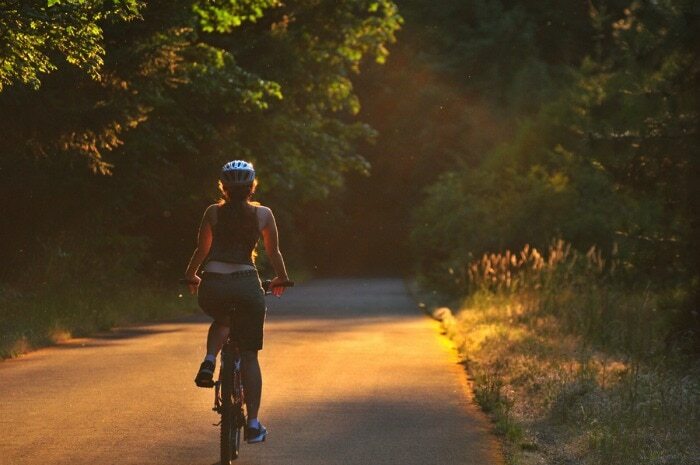 It’s a safe, easy bike ride for everyone, with fantastic views of the river and the Gorge. 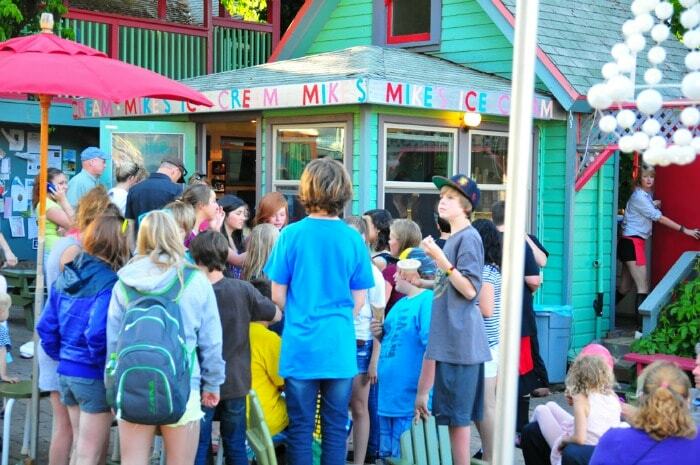 This will help you work up an appetite for visiting the iconic Mike’s Ice Cream in downtown Hood River, where you can sit on the library lawn and enjoy some of the best handcrafted ice cream anywhere. Start day two at Bette’s Place for a hearty breakfast for the whole family, then head on up to the Fruit Loop to visit Foothills Alpaca, where you can get up close to the animals and even feed the sweet, friendly alpacas. Make a reservation ahead of time, and then take the family up for a horseback ride at Double Mountain Horse Ranch, where they have horses for folks of all riding abilities—from newcomers to pros. That horse ride is likely to make you hungry, so stop by Packer’s Orchards & Bakery on your way back to town for cookies, pie, tarts, or whatever homemade treats strikes your fancy. Dinner outdoors or inside at Sixth Street Bistro is the perfect place to end the day. If you’re lucky enough to stay longer, try the easy and spectacularly beautiful hike to Tamanawas Falls, archery lessons at Windy River Archery, skateboarding at fantastic Hood River Skate Park, swimming at the full-size pool at the Hood River Aquatic Center, a visit to the Columbia Gorge Discovery Center with its great kid’s area, and a family drive to one of the most beautiful places on Earth: Lost Lake. Of course, like W. C. Fields, you may also want to visit one of many award-winning local brew pubs—which are all family-friendly. No matter where you go or what you do here, you’ll all be glad you came to visit amazing Hood River.